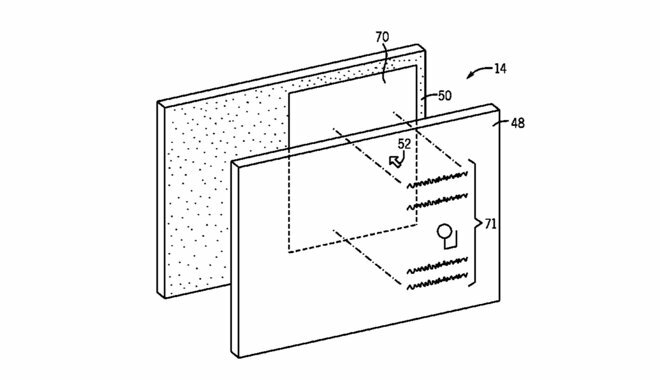 Apple this week was awarded ownership of a patent that describes future electronics with transparent displays, allowing users to view real-world events simultaneously with on-screen generated images. The U.S. Patent and Trademark Office officially awarded the patent for a "Transparent Electronic Device" to Apple on Tuesday. Identified as U.S. Patent No. 8,890,771, the invention describes a display with one or more screens that would allow real-world viewable objects to be overlaid with a visible window on an otherwise opaque display screen. Apple's concept notes that both active and passive display screens could be utilized in the screen, allowing different viewing modes for different purposes. In one concept described by Apple, the second non-transparent display would include a transparent window that the user could move as needed via multi-touch input. The patent also describes an electronic device with a "black mask" that would be used to hide electronic components behind the display. This would allow a user on one side of the device to see through it and view physical objects on the other side. Apple's invention notes that transparent displays could provide an "augmented reality" interface in which users could virtually interact with real-world objects. One example included in the patent is a display screen that overlays information while viewing a museum exhibit, such as a painting. In another example, Apple describes a tour bus with one or more transparent displays used as windows for users. These displays could present information about locations viewable from the bus as the vehicle drives by. Apple said such futuristic displays screens may include an LCD having pixels that default to an "on" state allowing light transmission and which can be activated to render some or all of the pixels opaque. Alternatively, the company said that the screens could include an OLED display that may selectively deactivate pixels to form a window where the display screen may output information over any image generated by the display screen, over any real-world object viewable by a user through the window, or both. 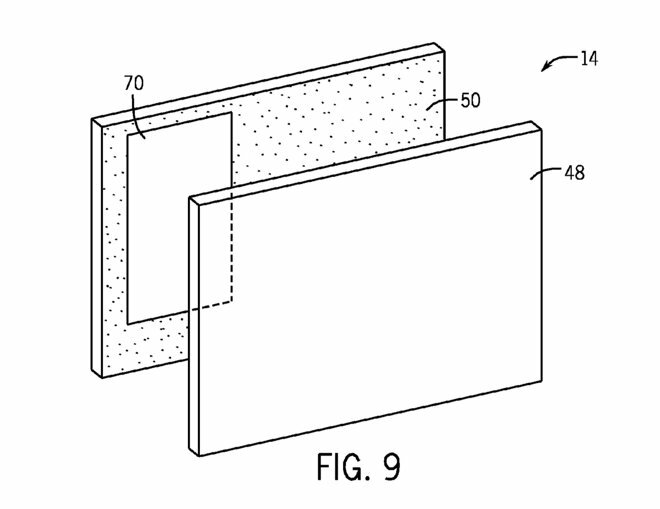 AppleInsider first detailed Apple's invention when it was a patent application back in 2011. The concept was first submitted to the USPTO in January of 2010, and it credits Aleksandar Pance as its sole inventor.